Will & Claire are having a seaside wedding in summer, so it was so nice to provide them with engagement photos that are actually completely different mood from what their wedding photos are going to be! 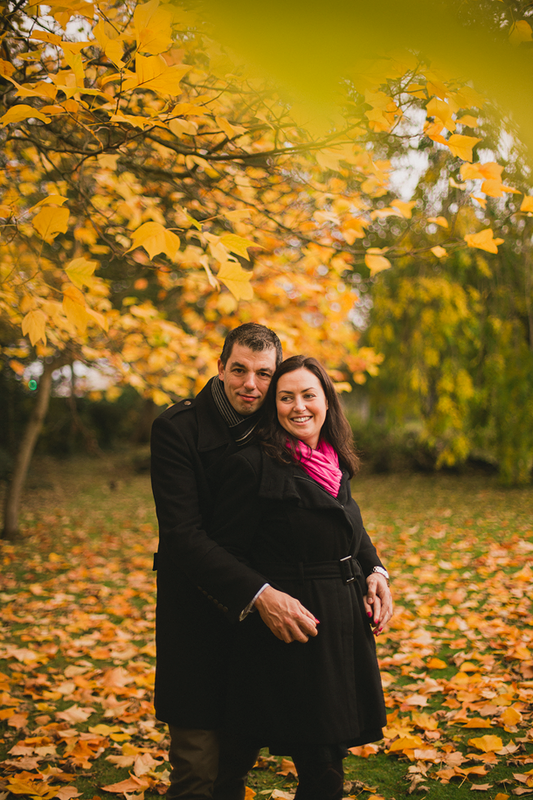 So on one gorgeous autumn afternoon we took to NUIG grounds – which is just so full of beautiful corners for different photo opportunities and at this time of the year, leaves of all shapes and colours! 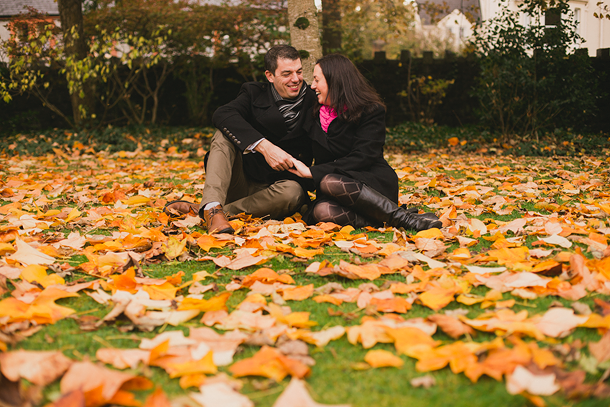 They guys were so natural and relaxed in front of the camera and we had a lot of fun throwing leaves around! 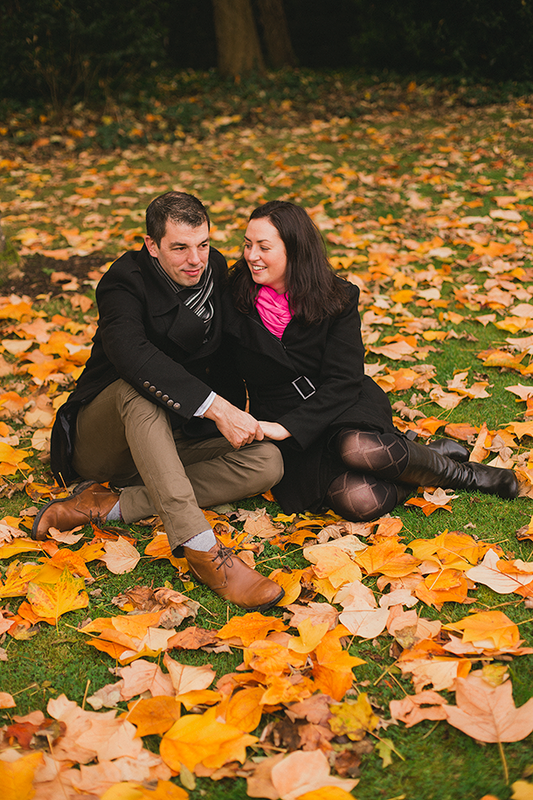 During the engagement shoot, Claire found this amazing vibrant red, heart-shaped leaf that was just perfect for the ring shot! I love when little magic things like that happen, it makes the photos so unique – no one else is going to have the exact same photo!